Ms. Weinberg provides corporations with practical and proactive labor and employment law counseling services. 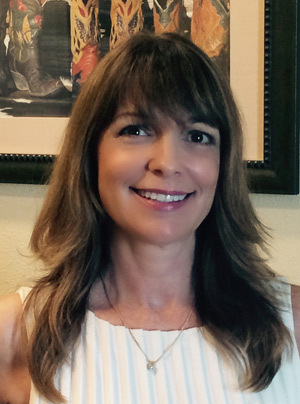 She works closely with high-tech and start-up companies in the Richardson, Plano, Frisco and Dallas areas. Jill Weinberg has her own firm and practices in the Richardson, Plano and Frisco business communities. Bringing 14 years of experience from two large global law firms, she continues to represent management and executives on employment law matters in the Dallas area. Ms. Weinberg’s practice also continues to focus on high-tech and start-up entities. Haynes and Boone L.L.P., Dallas, TX. Ms. Weinberg served as Of Counsel where she exclusively represented management on labor and employment law matters. Published decisions: Spector v. Presbyterian Hospital of Dallas, 1997 W. L. 810017 (N.D. Tex. 1997); Stultz et.al., v. Conoco et al., 76 F. 3d 651 (5th Cir. 1996); Ellis v. NationsBank, 842 F.Supp. 243 (N.D. Tex. 1994); Epps v. NationsBank, 7 F. 3d 44 (5th Cir. 1993); Hanchey v. Energas Co., 925 F.2d. 96 (5th Cir. 1990). Ms. Weinberg was an associate with the following firms: Epstein, Becker & Green, P.C. Dallas, TX; Hytken, Harlan & Nye, P.C. Dallas, TX; and Freytag LaForce, Rubenstein and Teofan, Dallas, TX. Ms. Weinberg is an employment law columnist for Inside Collin County Business Journal and a frequent speaker for national and local employment law programs concerning sexual harassment, wage and hour compliance, invasion of privacy, age discrimination and disability discrimination. Member of the 2005 Advisory Committee SMU-COX MBA Course Essential Law for the Entrepreneur. Ms. Weinberg is co-editor of the Employment Law Guide (Haynes and Boone, L.L.P., 1994) and the Texas Bankers Association Employment Law Manual for Financial Institutions (TBA 1992).